Hi there. Amy here, just popping in to talk about velvet. As George Costanza admitted, “I would drape myself in velvet if it were socially acceptable.” Me too George, me too. As holiday season approaches we are seeing that not only is it socially acceptable to drape yourself in velvet but also it might be the official YEAR OF THE VELVET. Over here, Heather has already made a velvet Amy Jumpsuit and still has a crushed velvet number to finish for our holiday party next week. We got out all the books, we have trialed and errored (those are words) and we put together a list of tips and tools that will help you with the luxurious (BUT SO SLIPPERY) beauty that is velvet. 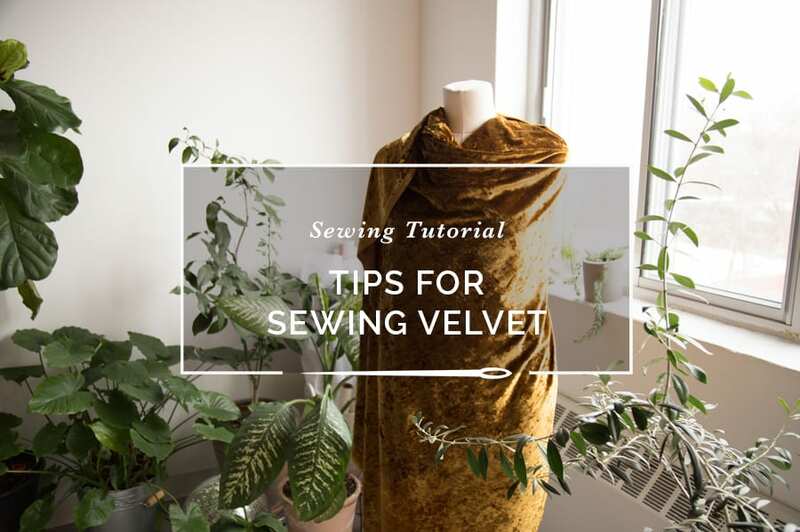 Especially if this is your first time working with velvet: go simple. Skip things with complicated seams, numerous darts or any heavy facings or seams. No topstitching! Button holes are not great. Invisible zips and loops & hooks are the best choice for closures. Something with a little drape will give you the most bang for your buck in terms of highlighting the beauty of the fabric. Make sure to consider the nap! Running it down the garment will give you better wear but running up looks richer and more saturated colour-wise. Either way you go, just make sure all your pieces are cut in the same direction. It is pretty crucial you cut velvet in one layer. If there are any pieces you are supposed to cut on the fold you can trace it onto paper and mirror it as I did above. You can use tissue paper under the fabric on top of your mat to move the pieces around more easily. It also makes clean up easier since velvet sheds! Speaking of shedding, having a little vacuum handy to clean up your space is not a bad idea. Trace the pattern or make your markings on the wrong side of the fabric. 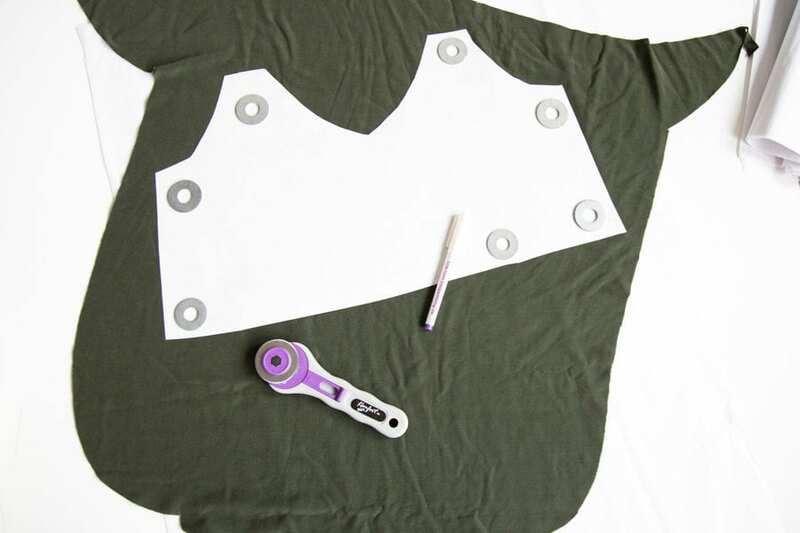 Use disappearing fabric ink; chalk can leave marks if pressed too hard. 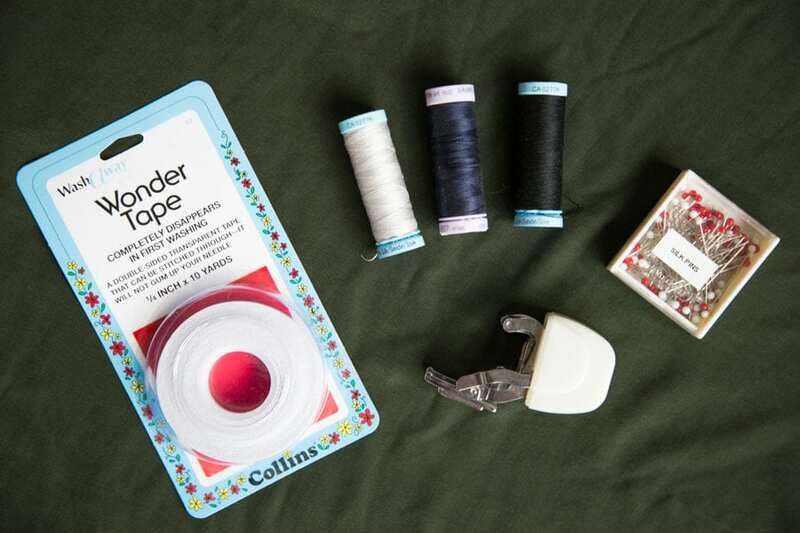 Tailor’s tacks are excellent since they mark both sides of the fabric – use a sharp needle and silk thread. Use a nice sharp rotary cutter. Use sew-in interfacing (silk organza is ideal). If you must use fusible interfacing, use another piece of velvet or a velvet board underneath your fabric pieces when you are applying it. Creeping (as the term goes) is not stalking your ex on facebook (news to me!) It instead refers to the problem of two fabrics that do not stay even under the presser foot and start sliding apart. Save yourself time with the seam ripper by hand basting first. It takes a bit of extra effort but trust me: it’s worth it. A few sources suggested spray adhesive but we had no luck (see above re: errored). Heather tried this on her seam allowances while protecting her fabric with a piece of paper but the glue spit out all gummy and nearly gave her a heart attack. Wonder tape, on the other hand, worked WONDERS. Put it right in the seam allowance and sew just next to it. Bonus sewing guide! Use vertical pins (sharps pointing toward the machine) so you can pull them out at the last second. Needles: use universal or sharp machine needles (sizes 70/10 or 80/12). Silk thread is great for basting, typical polyester thread is fine for your seams. Loosen the machine tension if you can. Raise the presser foot to avoid smooshing the nap and leaving marks. Use a walking foot, Teflon foot, or roller foot (test for marking) to help the layers slide evenly under the foot. Hold the fabric taut as you sew and “marry the nap” by first proposing marriage (JUST KIDDING); rub the velvet layers together to combine them and keep them from, you guessed it, creepin’. Put the velvet side down when sewing to another fabric. Stitch in the direction of the nap where possible. Try finishing raw seams with serging or a zig zag stitch for a finish that won’t add bulk to your seams. Trim and grade your seams to make them less bulky. ONLY use steam on the front!!! 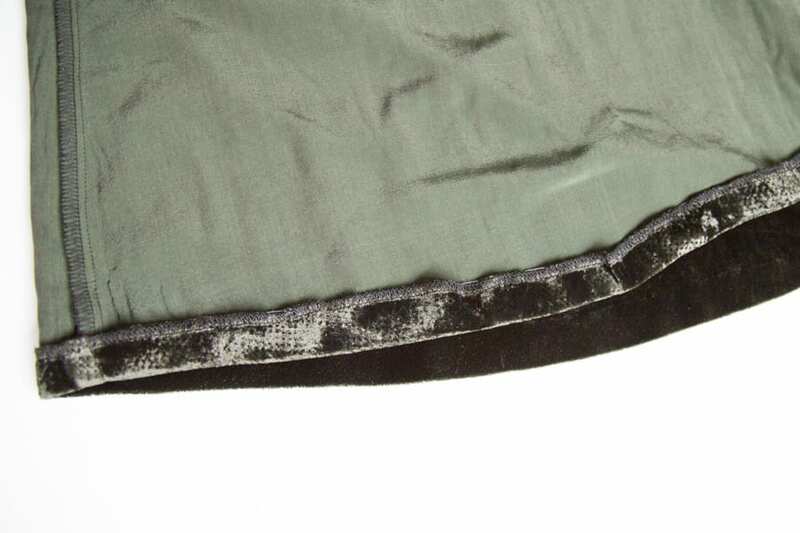 Don’t touch that iron to the right side of the fabric, unless it’s crushed velvet in which case, crush on! 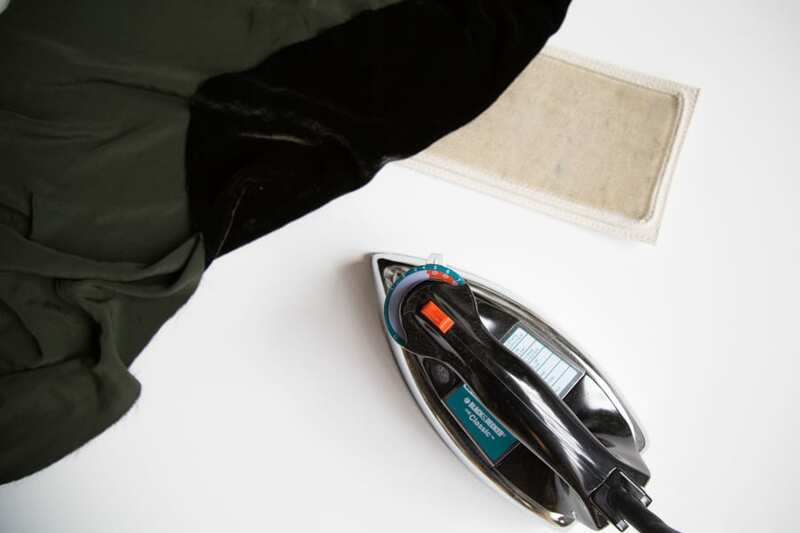 You can also press when needed by wrapping your ironing board or pressing aid in upholstery velvet (mohair is recommended) or a dense towel. Hang the garment on your dress form to relax for 24hrs before hemming. Line velvet garments whenever possible. Avoid french seams or other thick seams. 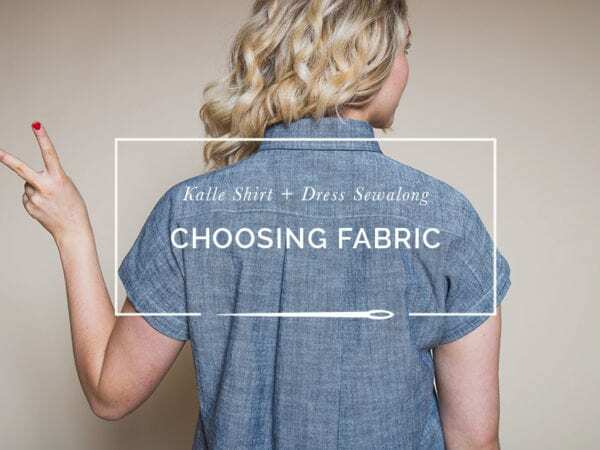 Use a single-fold, blind-stitched hem by hand (as above) for the most professional finish. Use ballpoint needles and a stretch stitch or zig zag stitch on your machine. If you are sewing stretch velvet using your serger, adjust your differential feed to ensure your stitch stretches adequately. Your stitching should allow for the same amount of stretch as the fabric itself. So there you have it. Have I scared you? I hope not. Please let us know if you have any other hot tips! We are all ears. NETTIE SEWALONG PT 1 – FABRIC!